Hi there! 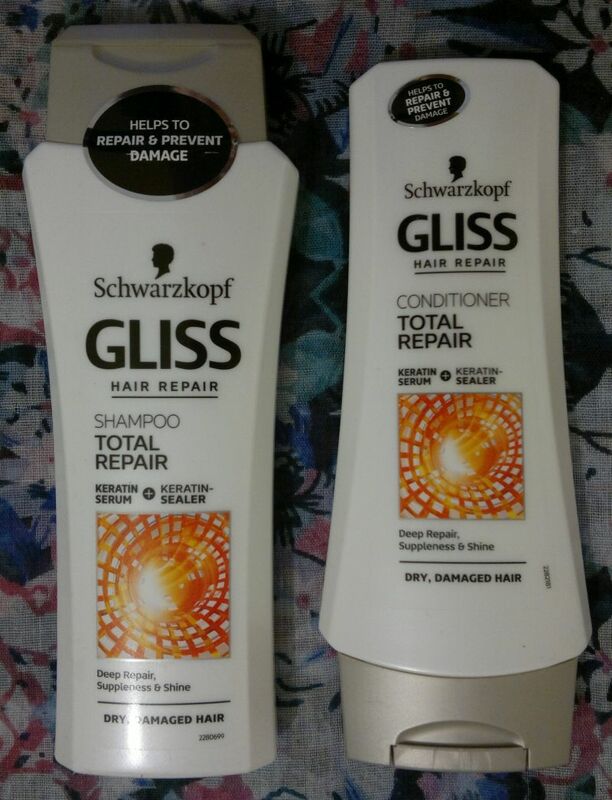 Today’s post is about this Hair Repair Rejuvenating Shampoo & Conditioner combo with Nourishing Oil. Hair Repair appears to be a true non-brand. However, a look at the back of the bottles reveals that these products are made by the same company (Mibelle Group) that makes Lee Stafford hair products as well as NSPA‘s face and body care products. 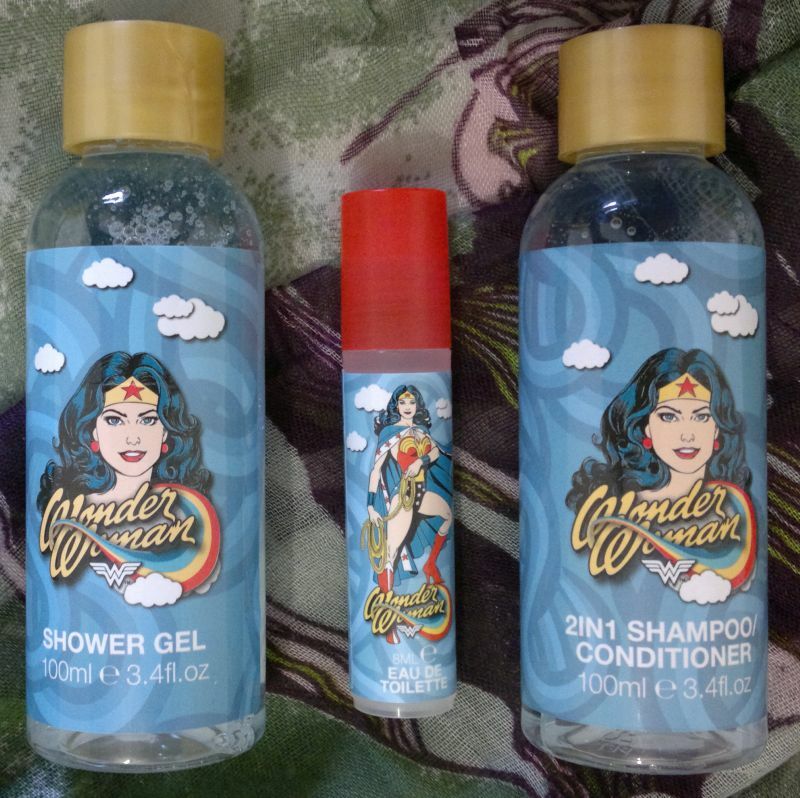 On the back of the bottles it also states that these products are vegan and cruelty-free. Cool! I’ve been using these hair products on and off since late March, and I think they’re really good. The shampoo is a clear liquid. It contains quite a few oils, but it feels cleansing and it doesn’t make my hair or scalp feel oily at any point. I like the beautiful floral fragrance a lot! The conditioner is nice too. It’s thick in texture, but it’s easy to spread, and it detangles my hair nicely. 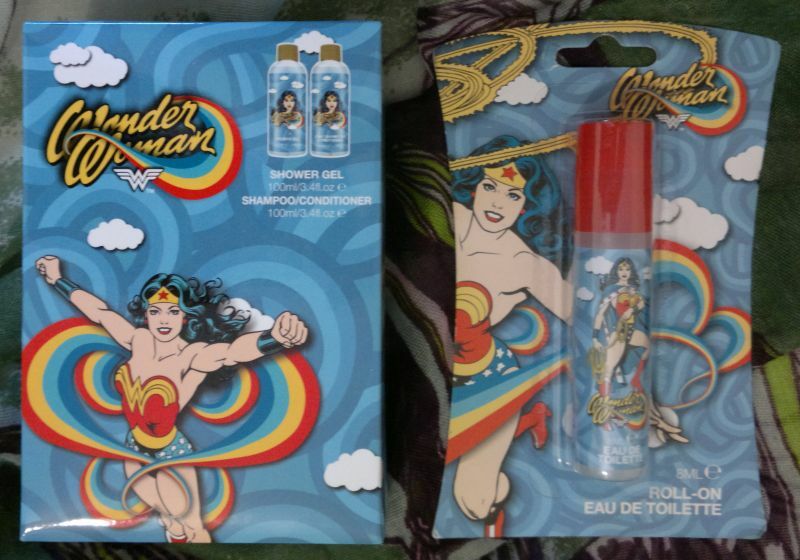 It doesn’t smell as good as the shampoo (it doesn’t smell bad, it’s just not a spectacular fragrance), but it’s beautiful to look at. I love its shimmery golden colour. And I’m happy to report that this conditioner doesn’t make my hair or scalp feel oily at all. Now here’s the best thing! 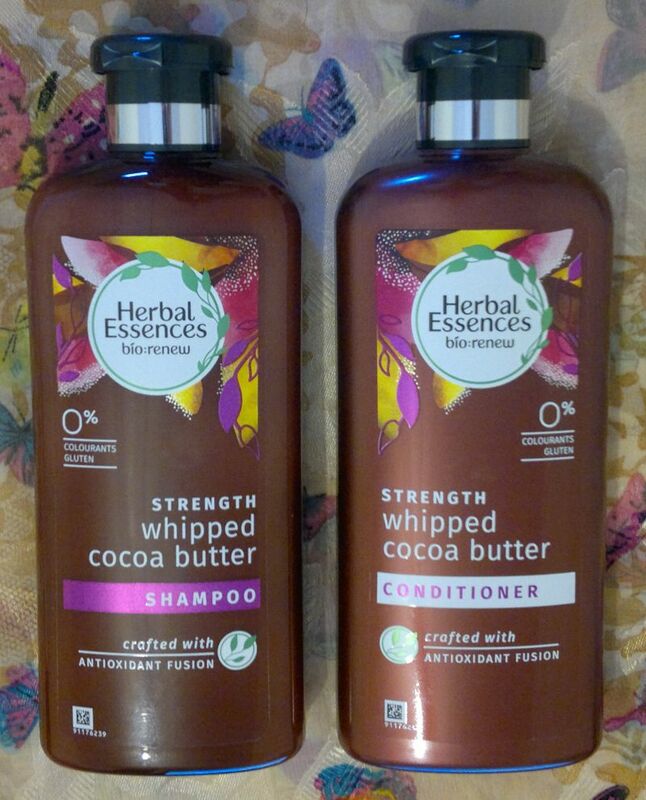 These 2 products give my hair a lot of extra volume. 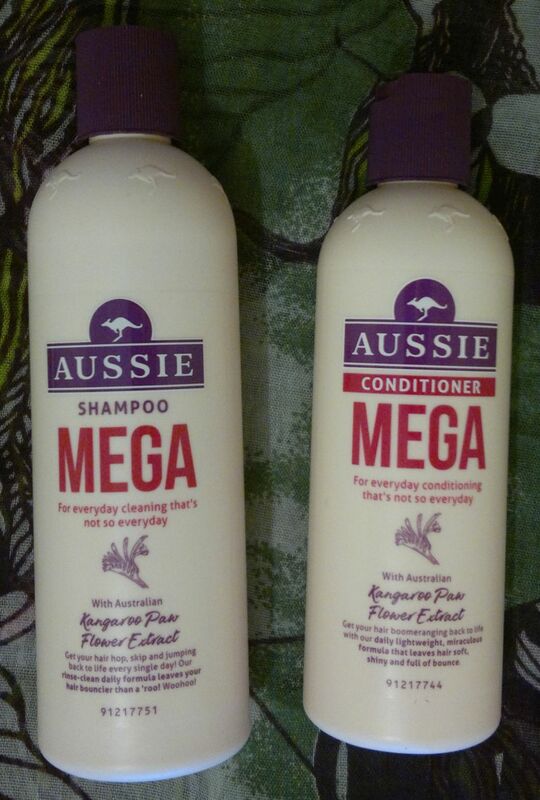 I’ve used many volume shampoos and conditioners over the years, but these 2 products mop the floor with almost all of them. The only volume shampoo and conditioner combo that is slightly better is Alberto Balsam’s! So if you want to give your hair a little extra volume, you should give these products a try! 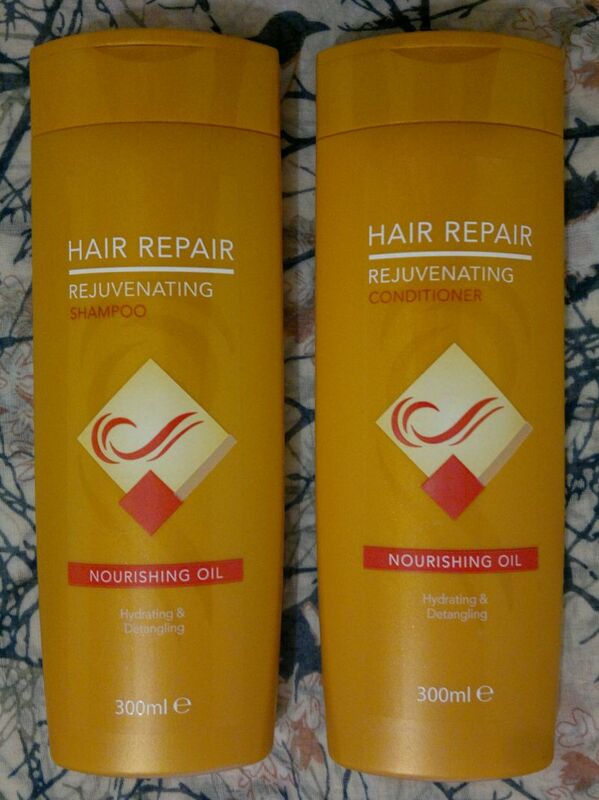 Hair Repair Rejuvenating Shampoo & Conditioner with Nourishing Oil are available as 300ml for £1 each (Poundland).